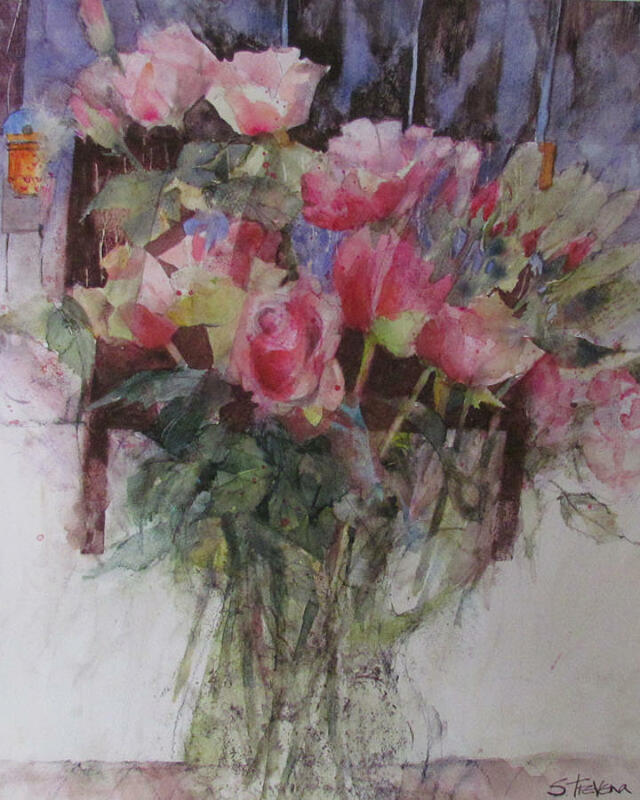 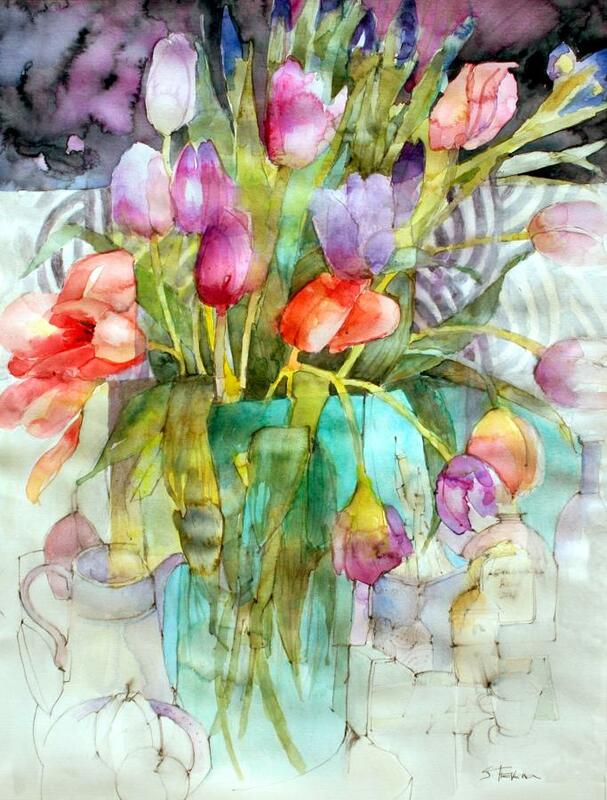 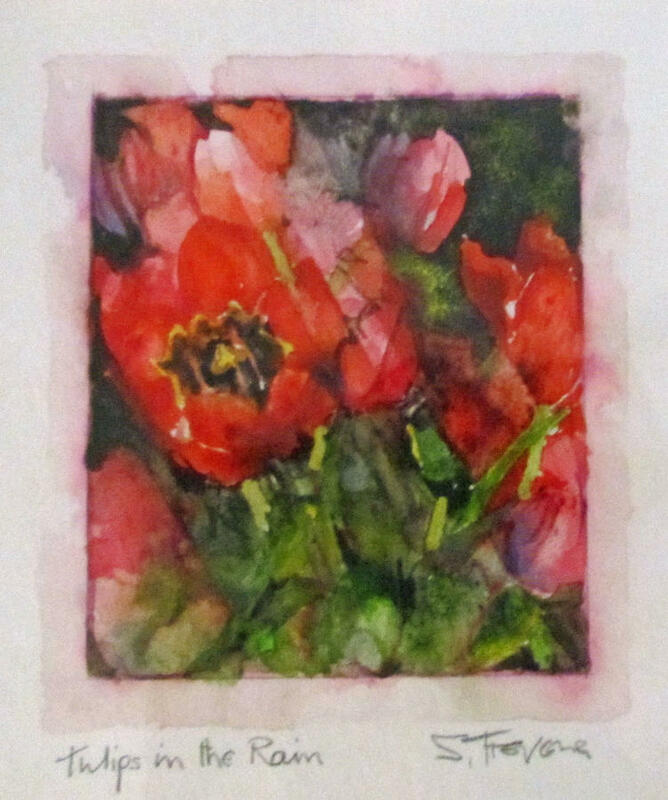 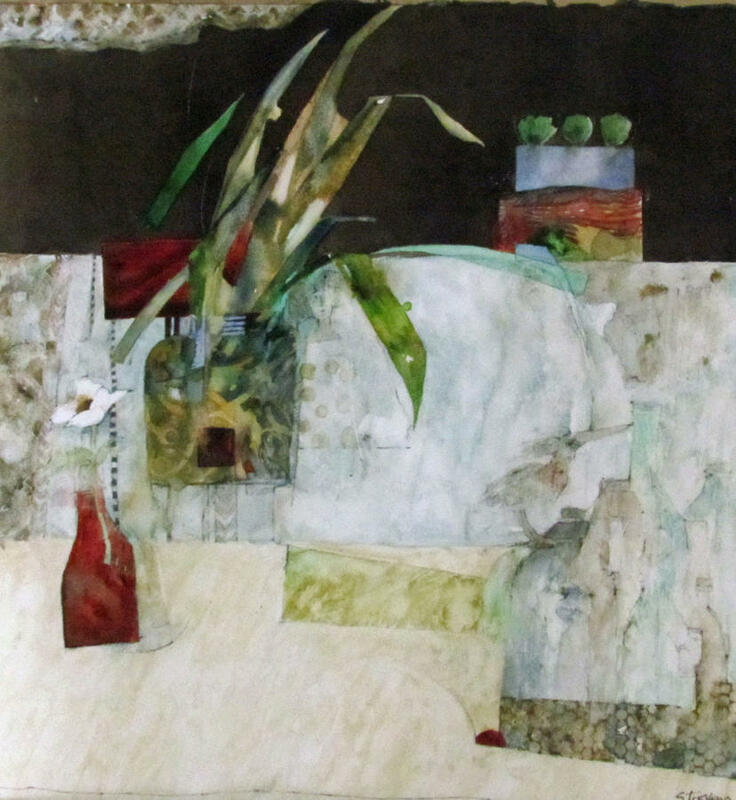 Shirley Trevena. 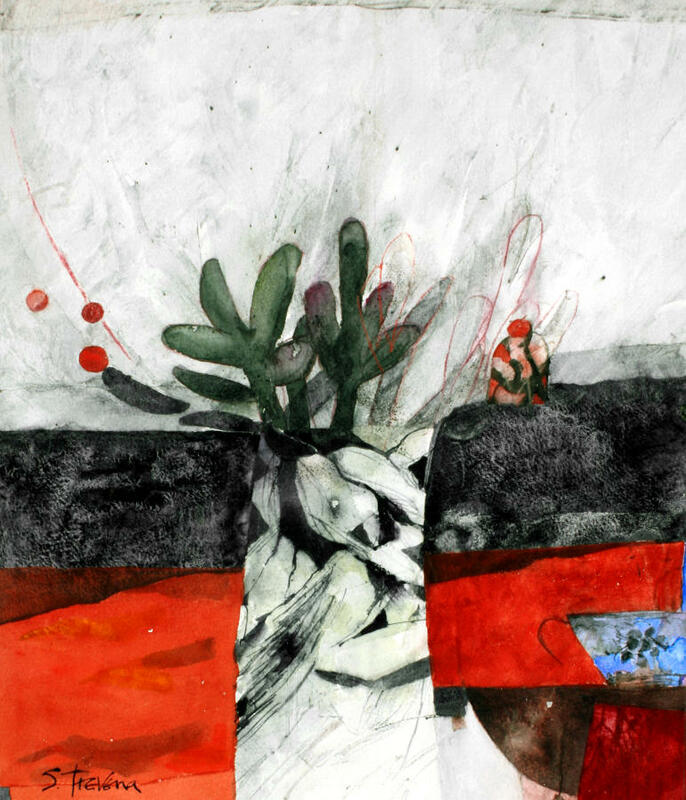 Two plants and two carpets. 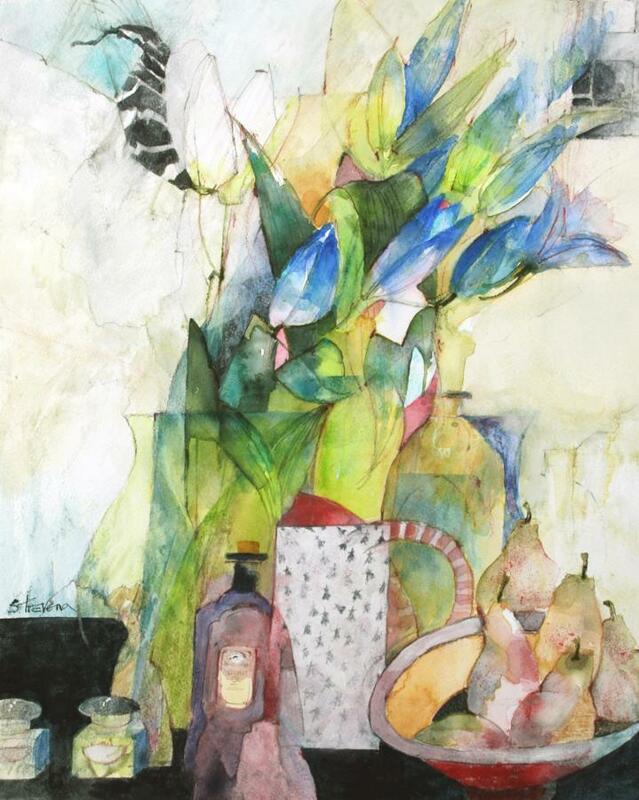 Shirley Trevena. 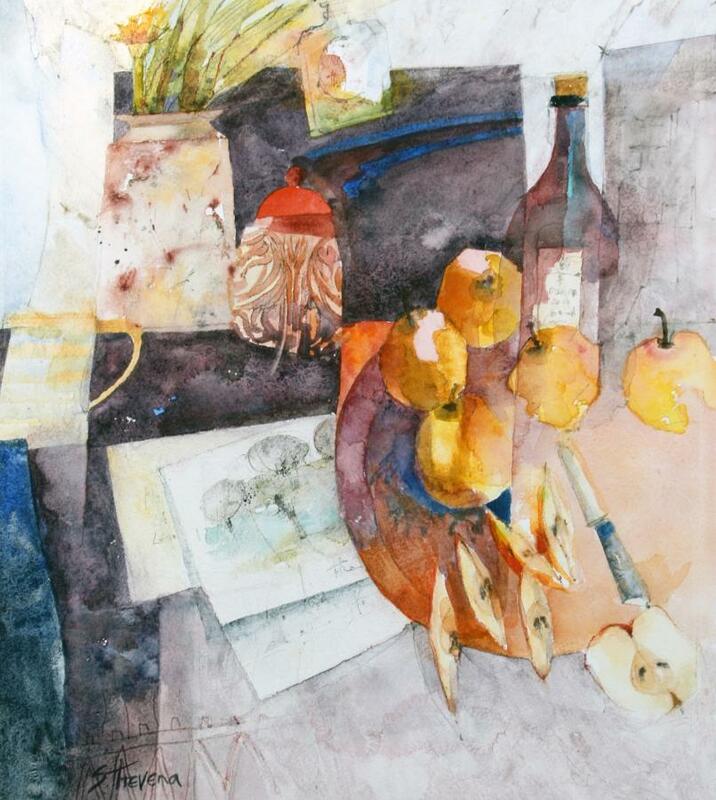 Sllices of golden apples. 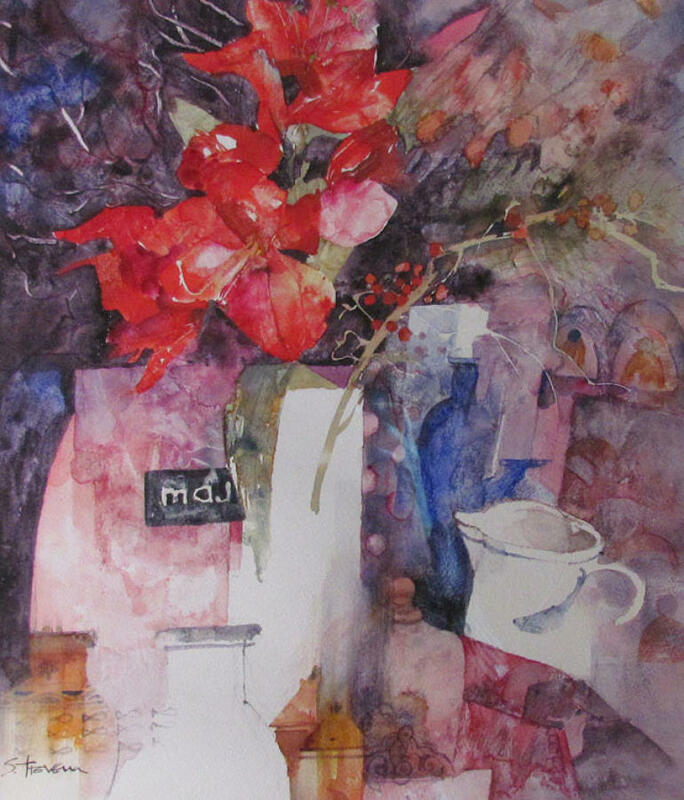 Shirley Trevena. 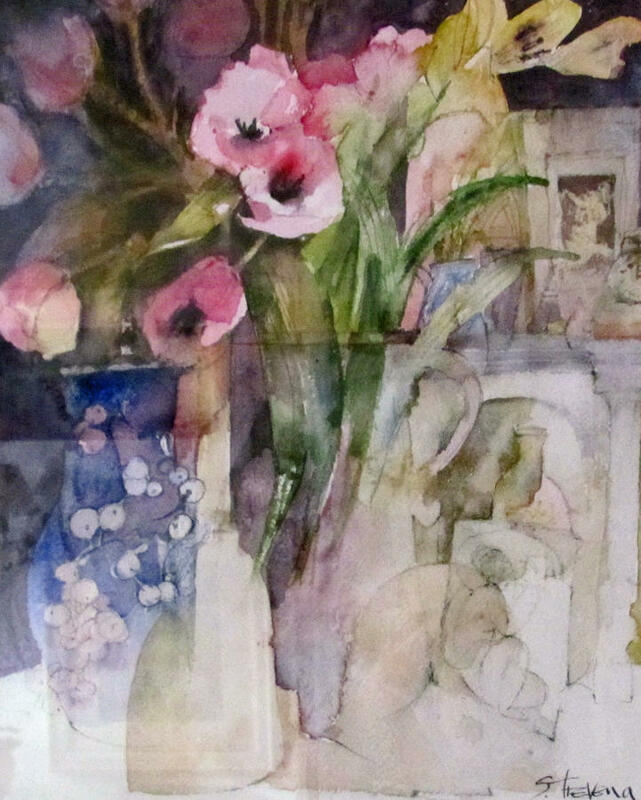 Still Life with blue paper flowers. 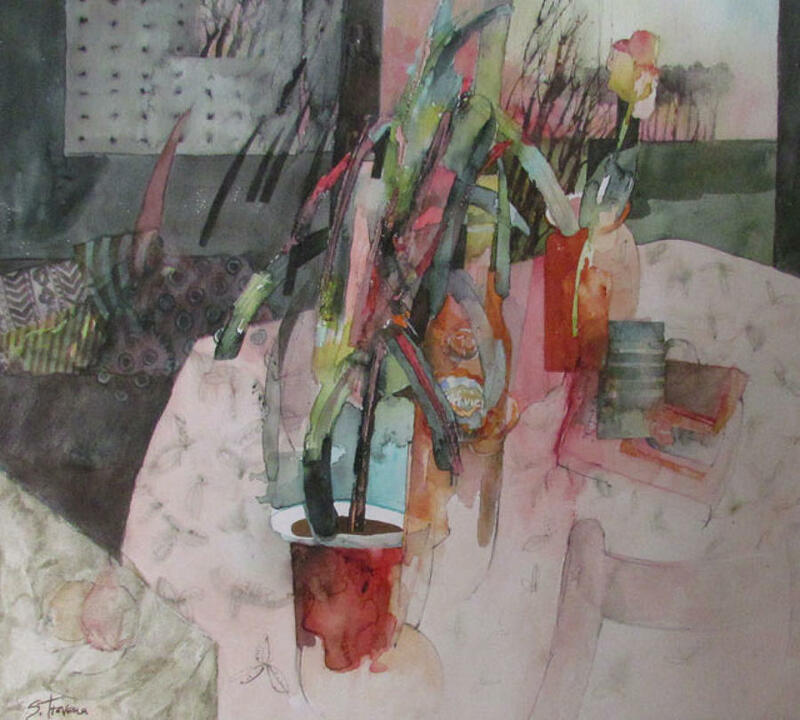 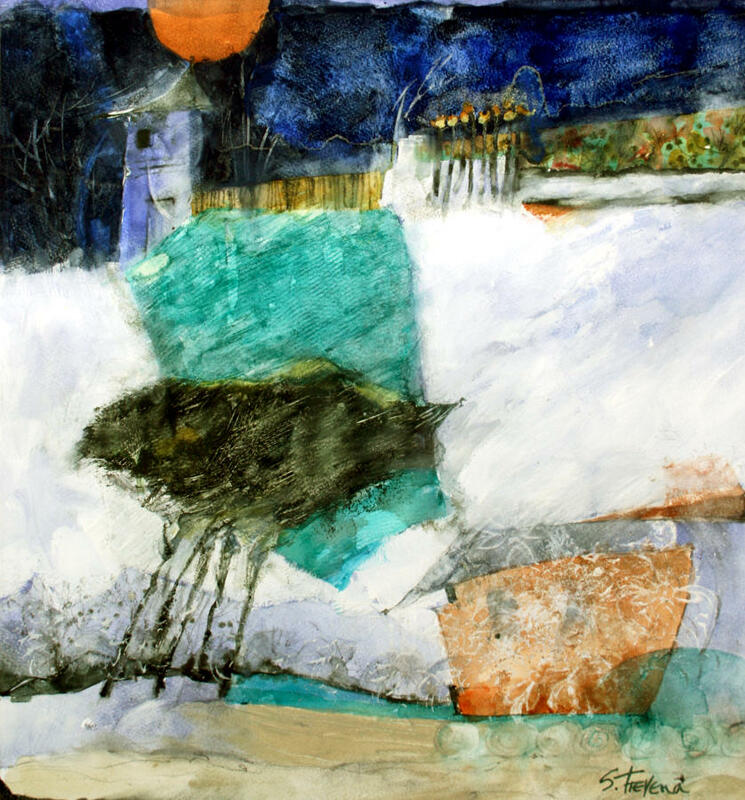 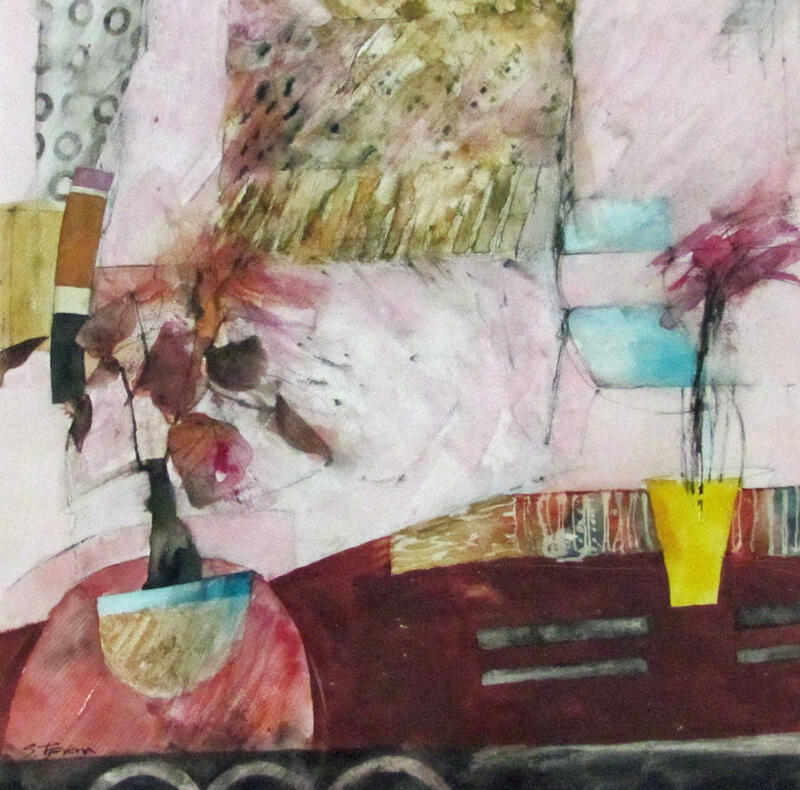 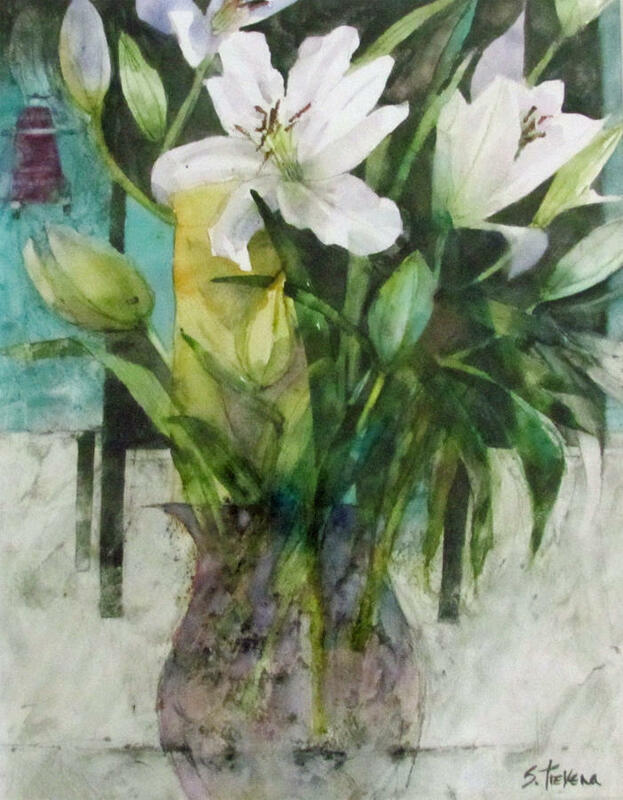 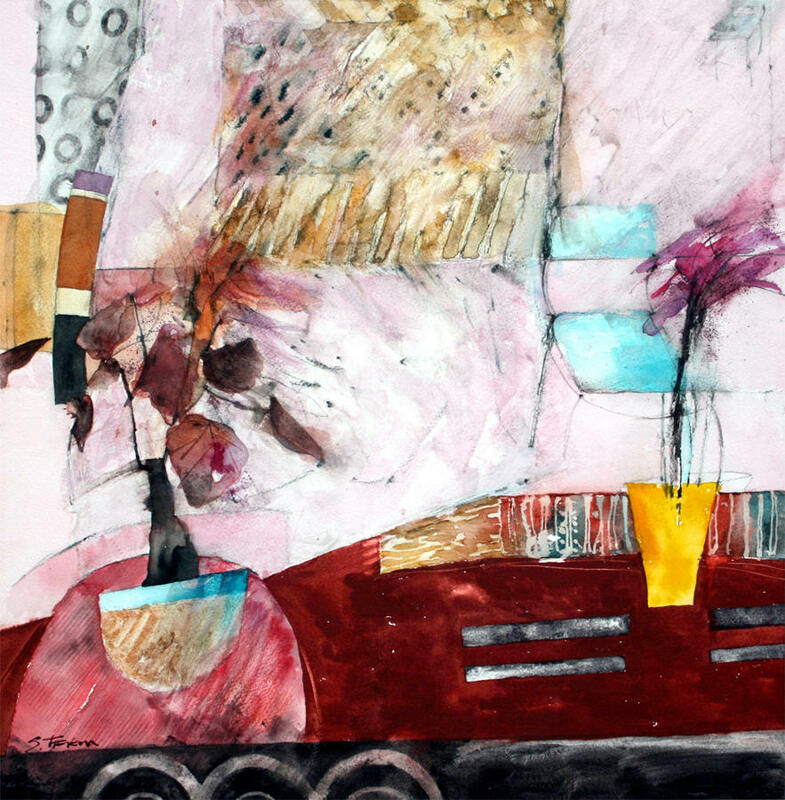 Shirley Trevena. 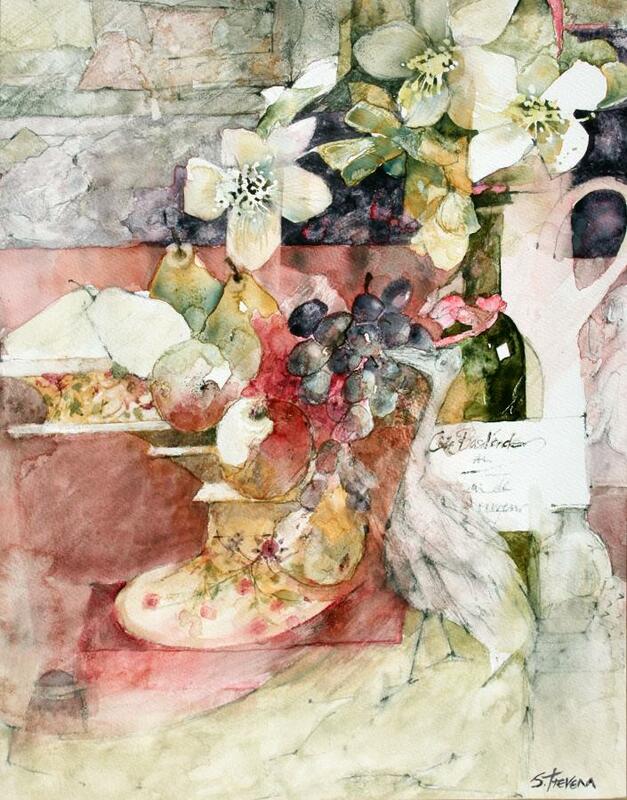 A Fruit Bowl with black grapes and Pears.